Western Railway Recruitment 2016: The Railway Recruitment Cell, Western Railway has been announced the advertisement to fill the 442 GDCE, Asst Station Master & Good Guard post. The good news for the applicants who are waiting for apply Western Railway jobs 2016. The candidates must check the eligibility criteria on the Western Railway notification 2016. Eligible and interested can apply the RRC WR application form 2016 through the official site rrc-wr.com. Here we provide the link for the Western Railway online application form 2016 & advertisement. So the candidates can easily apply the WR recruitment 2016. If you want to know the latest job updates, you must like our social page (Google+, Twitter, Facebook & LinkedIn). 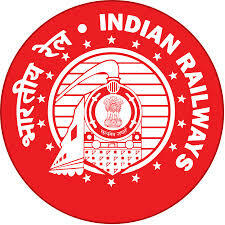 Name of the organization - Railway Recruitment Cell (RRC), Western Railway (WR). Content Search: Western Railways Recruitment 2016. Number of Jobs: 442 posts. The candidates who possess the Bachelor's Degree from any recognized university or it's equivalent academic qualification can eligible to apply the Western Railway recruitment 2016. The applicants should have an age limit details given. UR: 18 to 42 years. OBC: 18 to 45 years. SC/ST: 18 to 47 years. The selected aspirant will be getting the pay Rs. 5200/- to Rs. 20,200/- + grade pay Rs. 2800/-. Candidates must have the scanned photographs & signature in prescribed format. Download the WR notification 2016. Click on the Western Railways online registration 2016. Last date of online application: 6th June 2016. Download the Western Railway Notification 2016. Western Railways Apply online 2016. Instruction for WR online application 2016.